Hi everyone! It has been a busy week as I’ve been working behind the scenes getting the Passport Mitts pattern ready for general release. I’ve been working with the large size to get that motif centered on the back of the hand, and I’m very happy with the solution. Now to finish up the rewriting and to send the draft to the tech editor tonight. I will announce the release here as well as on Ravelry. I can’t wait!!! We’re also having a knitalong in my Ravelry group starting October 1st. Look for more information here in the days to come! 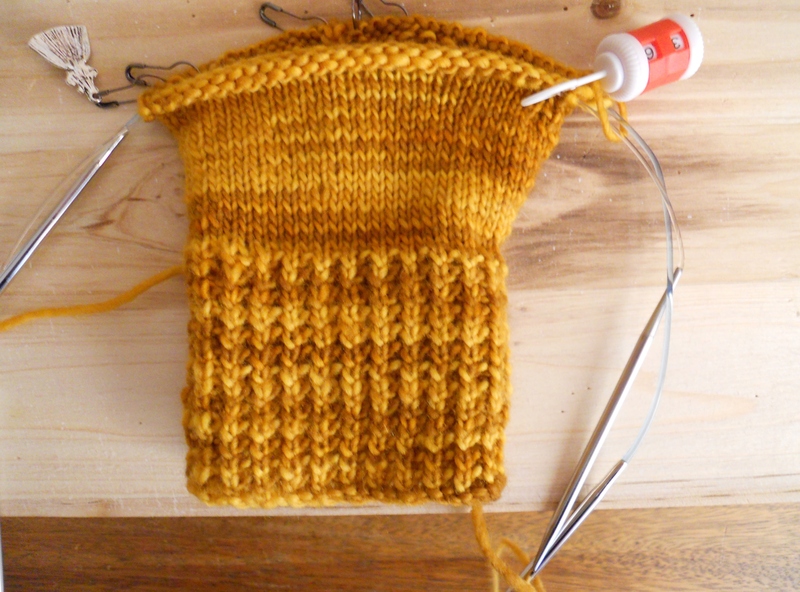 This weekend I will be playing with numbers, measurements, calculations, and ordering some more Sunday Knits yarn. I can’t wait to move ahead with this! I hope you all have a great weekend and I’ll catch up with you soon! That colorwork tee is going to be stunning! I can’t wait for the mitts to come out. The tee is really different than I was picturing. I think it looks great! Thank you, Alex! They’ll be out soon – next week, I hope! 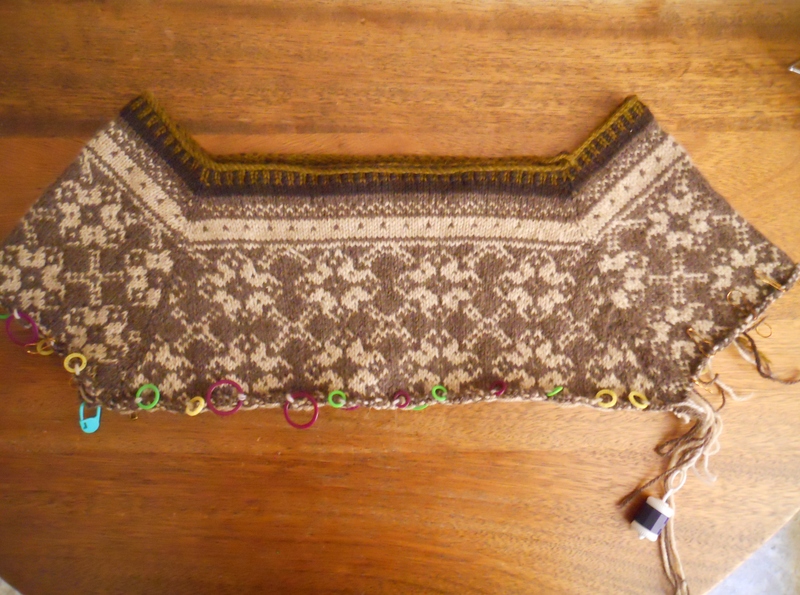 I thought about placing a different pattern on the sleeves, but I really like this one. 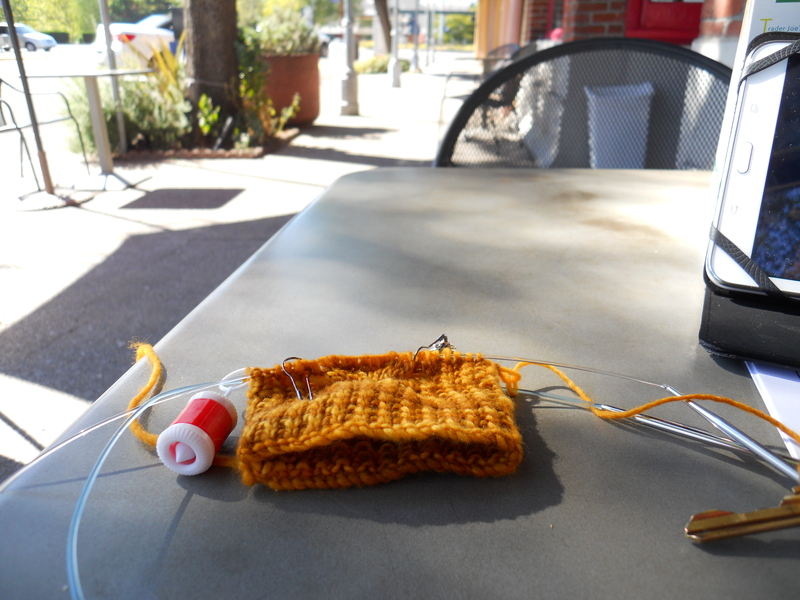 The charted pattern will soon change and will move into the Espresso and Carrot colorways…but I’m probably going to have to start a new sweater after I work the math this weekend. I guess I’ll just have to consider this another swatch! I love knitting mitts. I haven’t made a pair in a while. What a great pattern. 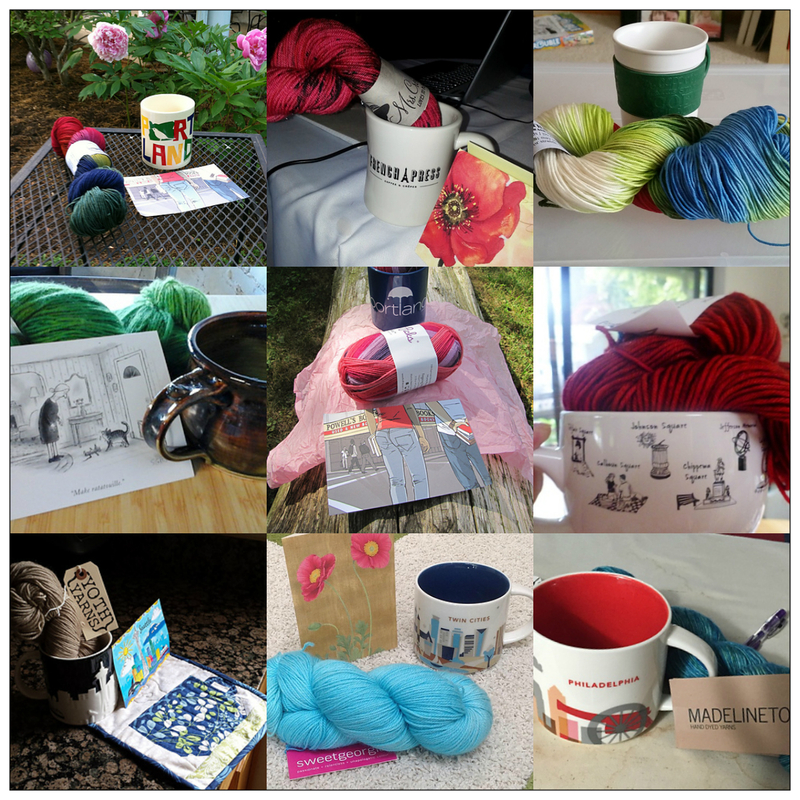 I’d be interested if you are looking for test knitters. I have the perfect yarn for them. 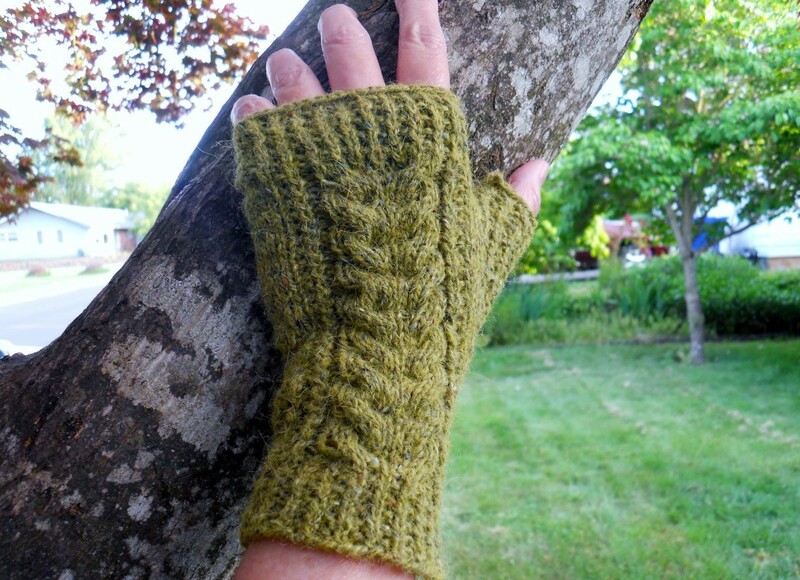 Mitts really are so much fun to make! Thanks for your kind words. It would be a good idea to have the pattern tested again now that I’ve rewritten it. I particularly would like to have the large size tested, but either size would be fine. Can you message me on Ravelry http://www.ravelry.com/people/cehermanator or send an email to carolherman389@yahoo.com with your contact info? Thanks!